Week Seventy four found me up at silly o’clock on a Sunday morning , having walked the dogs and completed both bakes by 8.45am! 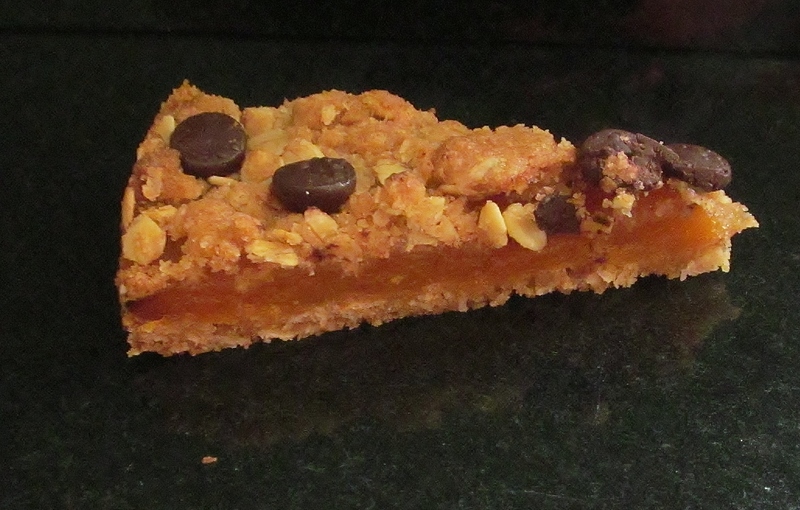 I chose Mary Berry’s sultana streusel buns and the banana & chocolate chip bars from her Baking Bible. 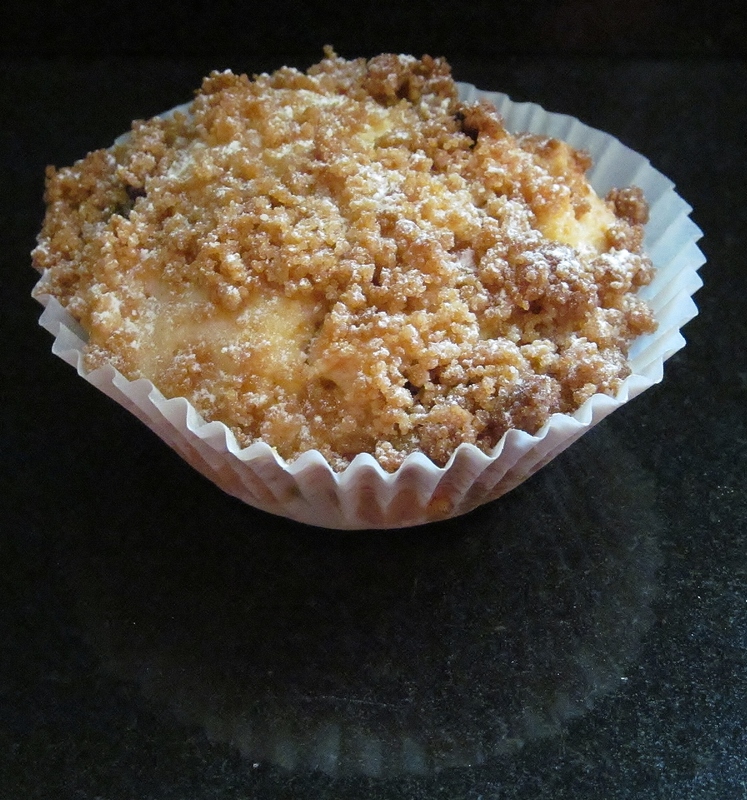 I made doubly sure that I read the recipe for the sultana streusel buns before I started, as I didn’t want any disasters this week. Mary asks you to put the flour and baking powder in a bowl and rub in the butter until it looks like breadcrumbs. I must admit this is my least favourite method as I never feel that it looks like it should! Mary then asks you to stir in the sugar and the sultanas. Then lightly beat the egg and milk together and mix all in one go to the bowl and beat to a smooth mix. Put spoons of the mixture in the cases. This recipe has a topping that is made by flour, sugar and melted butter. Use a fork to mix it until it is crumbly and put a spoon of this on top of each bun. Then put it in the oven. I have never made these before and they needed about 5-10 minutes longer to cook than Mary suggests but they looked quite unusual. 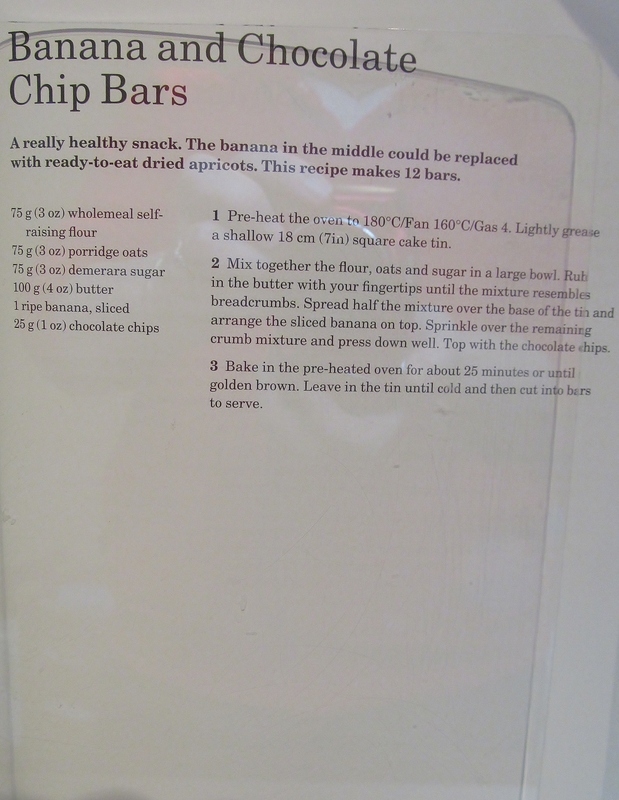 The second recipe was the banana and chocolate chip bars. As I have mentioned before, my hubby is allergic to banana and I have made other banana recipes when visiting my mum so that the family can eat them. Mary does suggest in this recipe that you can substitute apricots for the banana so that’s what I did. The recipe is quite simple. 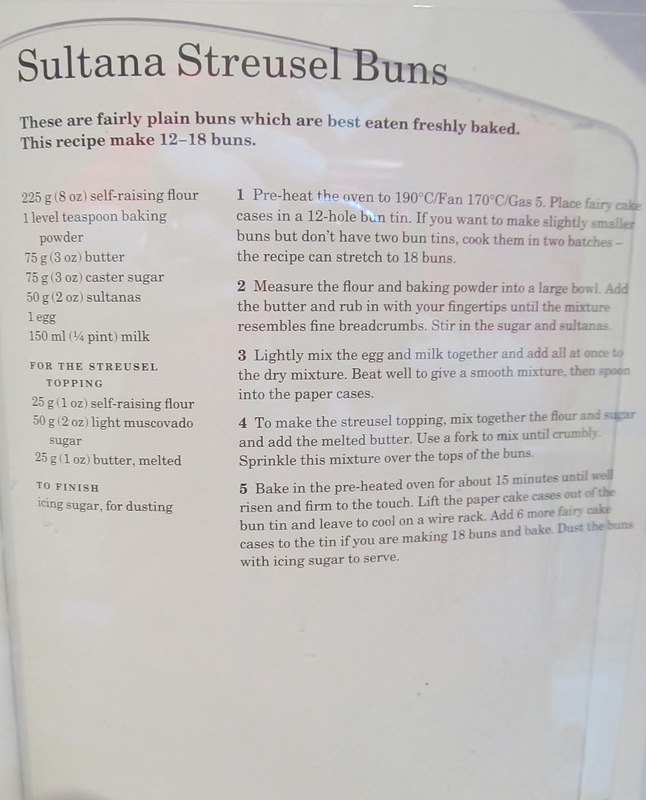 Mary asks you to put the flour, oats and sugar into a bowl and mix and then rub in the butter- ( did I mention that I don’t like this method?!) Put half the mix into a tin- Mary suggests a square tin but I put mine in a round one. Then add the apricots and then top with the rest of the mixture. Bake in the oven. The countdown continues…..120 left to go….. This entry was posted in Kim's cake challenge and tagged Banana, Butter, Chocolate chip, Kim's Apricot & Chocolate Chip Bars, Kim's Cake Challenge, Kim's Sultana Streusel Buns, Mary Berry, Mary Berry's Baking Bible, Mary Berry's Banana & Chocolate Chip Bars, Mary Berry's Sultana Streusel Buns, sultanas by kimsideas. Bookmark the permalink.